The OVO Toilet Caddy is the ultimate toilet tissue dispenser. It includes a tray for your electronic device or personal wipes and storage for two additional tissue rolls, all in one contemporary, streamlined caddy! The timeless appeal of Archer accessories works beautifully with an array of bathroom styles. This toilet tissue holder embodies Archer's classical design lines, allowing you to create a unified bathroom down to the smallest detail. Bancroft accessories capture the elegance of early 1900s American design with their traditional and enduring style. Constructed of premium metal for long-lasting durability, this toilet tissue holder lends a classic touch to the bath or powder room. 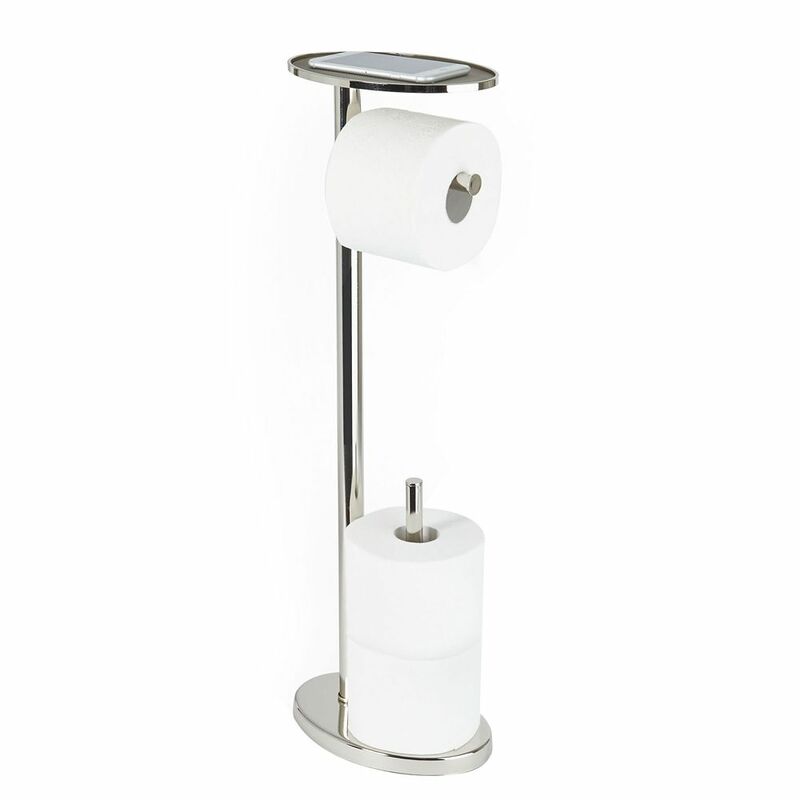 OVO Toilet Caddy Polished Nickel The OVO Toilet Caddy is the ultimate toilet tissue dispenser. It includes a tray for your electronic device or personal wipes and storage for two additional tissue rolls, all in one contemporary, streamlined caddy! OVO Toilet Caddy Polished Nickel is rated 3.0 out of 5 by 1. Rated 3 out of 5 by HomeDepotCustomer from It is good, but the bars for the extra toilet... It is good, but the bars for the extra toilet rolls are not straight and do not look as neat as I wanted to.